There are many drug and alcohol rehab facilities in Arkansas and many are excellent treatment centers. However, we have discovered that not only does reaching out across state borders help find you a perfect fit, it also helps increase your chance of remaining sober once you are out of treatment. Our drug and alcohol rehabilitation service can help you analyze your treatment center options and find treatment in Arkansas or elsewhere. The most widely used drugs in the state of Arkansas are marijuana, methamphetamine, and cocaine with crack and powdered cocaine showing a dramatic increase in appearance. This increase seems to stem from the fact that the movement of street gangs is going beyond their normal range of operations. Cocaine users overdose at an alarming rate and drug rehab is highly recommended. Often it is necessary to go into detox before entering into a drug rehab program and there are facilities that do not offer on-site detoxification. 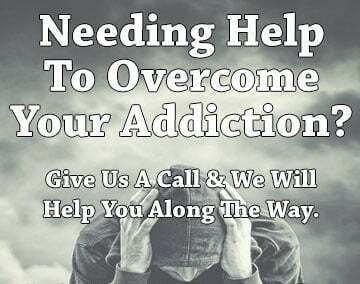 Sober Solutions can find the solution to that obstacle. Because of the climate in Arkansas, marijuana is a lucrative plant for local growers and despite the myth that marijuana is not a dangerous drug, it is addictive and frequently leads to the use of hard drugs. Methamphetamine use is of a great concern in Arkansas. It has surpassed cocaine as the most widely used drug in the state. It is available on two fronts– locally manufactured and imported from Mexico. Meth is a particularly cruel drug which demands in-house treatment to kick the addiction and fight the physical effects. Too often the drug can and does permanently affect the brain. It is important to get treatment as soon as possible. College age (and younger) individuals are into binge drinking and club drugs such as MDMA, LSD, GHB, and OxyContin. In order to overcome addictions, it is vitally important to get help at a treatment center or rehab. At this time, heroin doesn’t seem to play a significant role in substance abuse in Arkansas but this opinion may be faulty since there are only a few investigators researching heroin and its trafficking patterns in the state. The important thing when considering substance abuse is to get to an addiction treatment centers as soon as possible. This is true whether it is alcohol, street drugs, or prescription drugs. To find out more specific information about particular addiction treatment programs in Arkansas, click here.